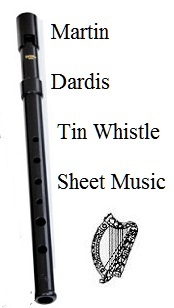 Sheet music and tin/penny whistle notes for Irish songs.Free download music from The Dubliners, The Clancy's, Traditional Tunes, Christy Moore, The Wolfe Tones, The Fureys and much more.This music notation is suitable for banjo, mandolin, accordion, fiddle and tin whistle. The tin whistle notes may not always match the music sheet score, which means when transcribed the notes on whistle may not be in the same key as the sheet music it came from. These song notes are only a guide. Where ever you see the + video I have included the easy to follow letter notes. Mandolin / banjo tab included. + Banjo / mandolin tab. Traditional, + mandolin / banjo tab. 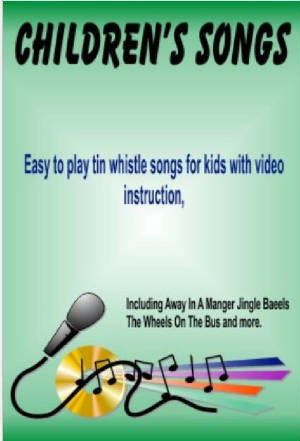 Includes video lesson on piano also. The Everly Brothers - Letter notes only, video included. The Wolfe Tones / Trad. You have to Learn to crawl before you can walk. Choose an easy one to start off with. There's no point trying to play songs like The Rocky Road To Dublin or The Foggy Dew before getting the the handy one's off by heart first. If you pick one hard one to play and you can't master it it will soon put you off playing a whistle and you'll give up. You have to start slowly. Don't be afraid to play stuff like Twinkle Twinkle Little Star. Then move on to something like Oro Se Do Bheatha Bhaile. For the easy one's I have given simple ''Letter Notes'' [see exaple on right] where you don't even have to read sheet music. I have also now included 38 videos to show what notes to play in an easy to read format. Some video's now on site include some of the more popular songs like Molly Malone and Dirty Old Town. Take things at a slow pace learning each song line by line before moving on. I will be adding new videos in time. Look out for the words ''Video Included''. The image above is an example of ''Letter Notes'' . There are many of these easy to read songs on the site. They are here to make life handy for anybody that doesn't read the dots. The example below will teach you the basics of reading sheet music, the more you play the better you'll familiarize yourself with the position of each note and the music sheets. When I went looking for sheet music notes for an Irish folk song on line and couldn't find any, there was plenty of pieces of music for the Irish tunes but not for the songs. I thought, why were these big music sites not displaying the folk and ballads along with the traditional Irish music tunes. Where were The Dubliners, The Wolfe Tones, The Furey Brothers and the hundreds of traditional Irish song notes ? When you first take up and learn a musical instrument, be it banjo, fiddle, mandolin or whatever, you will want to learn something that's familiar to you. since most would already know more songs that tunes then the logical thing would be to learn something easy, for example a song that already in your head and have known it for years. So you look around for an easy song to play, right ? Well, if you ever took music lessons that's the way things work, you would be started on some simple song to you had it off by heart before moving on. So when I looked for sheet music notes for Irish songs on the Internet and couldn't find any, I thought, this isn't right ! So I started to collect as many songs as were already here on the site and tried to get sheet music to go with them, a hard thing to do,So I made up my own. I was successful in selecting most of the older traditional songs but not the more recent ones, and as for tin whistle notes, well they are even harder to get. Not everybody can play by ear, so most will look for the sheet music or tin whistle notes image of the song for guidance. I'm surprised the big sites like ceoltas who pride themselves on promoting Irish music don't have an online tin whistle song collection. Anyway I will continue with this section of the site and try build on what's already here. Don't forget, If you have sheet music or tin whistle notes for any Irish folk or ballads including Dubliners, Pogues, Furey Brothers, The Clancys, The Wolfe Tones will you please send them to me.I have now started collecting abc music notes which are used mainly for beginners of tin whistle. 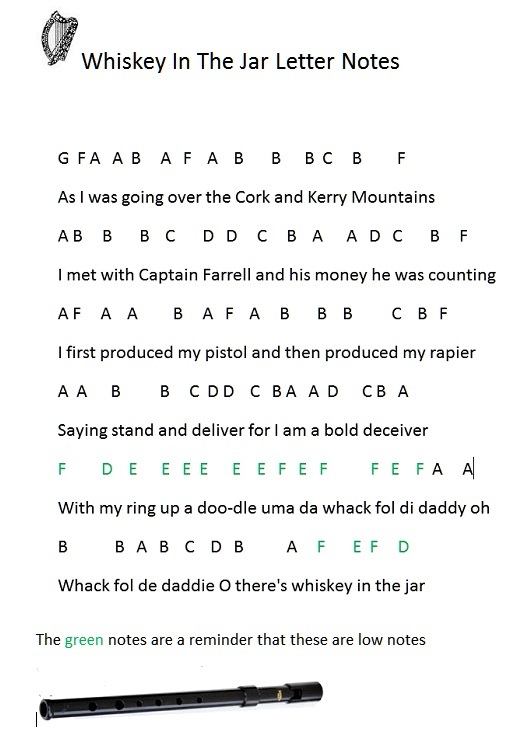 Although I've heard well established Irish musicians use the abc system also. Some of the abc music notation is by Cathal Lynch [see above photo] who has done a great deal of working in providing these song notes in a simple to understand method. Thank you for this awesome site, I'm teaching myself the tin whistle which I couldn't have done without this site. 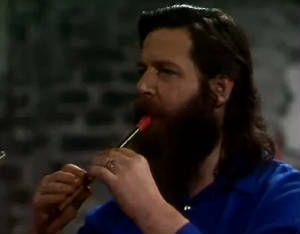 Thanks for a great site Martin, nice to see the tin whistle is taken seriously. I also play tin whistle, autoharp and clarinet. My girl, Amanda, plays tin whistle and ukulele. We both adore this site. From Paul Roberts. I've been using this site for about two years now as a constant reference for learning songs. I'm an american with heavy irish descent (does 80% irish mean im still an irishman?) I have to say that this truly is a unique site that you have put together, and quite pssibly one of a kind. I mostly play guitar, but the otherday, we were moving furniture around in my sister's room for remodeling (she's moved out and is on her own now with her husband) and we found a tin whistle under neath one of the old dressers! I can't imagine a way to express how excited i was, and when i saw it there, the first thing that popped into my head was "HEY! I can jump on to that martindardis.com! They have tin whistle notation on there where I can learn to play this!" and indeed, tw days later, I'm whistling away the time learning the instrument with this site as the only resource that i could find that was adequately suiting my musical background! I want to thank you from the bottom of my heart for putting this website together and compiling this beautiful resource! Sure the alphabetizing could use a little polishing up and standardizing, but i wouldn't give up this site for the world! Playing pop songs on the whistle is not really the norm, just a few singers have embraced the idea, one that springs to mind is Paul Simon with ''You Can Call Me Al''. Just because an instrument is associated with a particular genre of music doesn't mean it can't be transfeered to another kind, such as popular music. Most Irish people grew up listening to folk music on the radio because during the 50s to the early 70's there was little choice as that's all there was for the most part, that's one of the reasons why folk songs are played on the whistle. There are thousands of great pop songs around with some lovely easy to play melodies that can sound great when played on the whistle. The song Morning Has Broken started as a Scottish folk hymn 70 years ago, it got recorded by Cat Stevens in 1971 and became a pop song. It has a beautiful melody and is handy to play.